Initiated the Division of Gerontology Research?NHRI in 2003. The initiative of the project of NHRI Geriatric Fellowship Training Program in Taiwan. Promoting the quality of geriatric care in Tainwan. Promoting the quality of geriatric care in Taiwan through active collaboration with health administration (the Department of Health) as well as medical and academic institutes. 1.Tseng CH, Chong CK, Tseng CP and Tai TY. The association between urinary albumin excretion and ankle-brachial index in elderly Taiwanese patients with type 2 diabetes mellitus. Age Ageing, 37(1):77-82, 2007. 2.Yang WS, Yang YC, Chen CL, Wu IL, Lu JY, Lu FH, Tai TY and Chang CJ. Adiponectin SNP276 is associated with obesity, the metabolic syndrome, and diabetes in the elderly. Am J Clin Nutr, 86(2):509-13, 2007. 3.Chung FM, Shieh TY, Yang YH, Chang DM, Shin SJ, Tsai JC, Chen TH, Ta TY and Lee YJ. The role of angiotensin-converting enzyme gene insertion/deletion polymorphism for blood pressure regulation in areca nut chewers. Transl Res, 150(1):58-65, 2007. 4.Kuo HK, Liao KC, Leveille SG, Bean JF, Yen CJ, Chen JH, Yu YH and Tai TY. Relationship of homocysteine levels to quadriceps strength, gait speed, and late-life disability in older adults. J Gerontol A Biol Sci Med Sci., 62(4):434-9, 2007. 5.Lee WC, Wu CC, Wu HP and Tai TY. Lower urinary tract symptoms and uroflowmetry in women with type 2 diabetes mellitus with and without bladder dysfunction. Urology, 69(4):685-90, 2007. 7.Lan TY, Chiu HC, Chang HY, Chang WC, Chen HY and Tai TY. Clinical and laboratory predictors of all-cause mortality in older population. Arch Gerontol Geriatr., 45(3):327-34, 2007. 8.Chao CC, Hsieh SC, Yang WS, Lin YH, Lin WM, Tai TY and Hsieh ST. Glycemic control is related to the severity of impaired thermal sensations in type 2 diabetes. Diabetes Metab Res Rev, 23(8):612-20, 2007. 9.Lan TY, Chang WC, Tsai YJ, Chang YL, Lin HS and Tai TY. Area nut chewing and ortality in an elderly cohort study. Am J Epidemiol, 165(6):677-83, 2007. 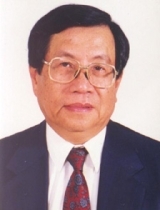 10.Tai TY, Chuang LM, Tsai ST, Huang BY, Diabcare (Taiwan) Study Group. Treatment of type 2 diabetes mellitus in a primary care setting in Taiwan: comparison with secondary/tertiary care. J Formos Med Assoc, 105(2):105-17, 2006. 11.Chang WC, Hsiao CF, Chang HY, Lan TY, Hsiung CA, Shih YT and Tai TY. Betel nut chewing and other risk factors associated with obesity among Taiwanese male adults. Int J Obes (Lond), 30(2):359-63, 2006. 12.Tseng CH, Tseng CP, Chong CK, Cheng JC and Tai TY. Independent association between triglycerides and coronary artery disease in Taiwanese type 2 diabetic patients. Int J Cardiol, 28;111(1):80-5, 2005. 13.Lu JY, Chuang LM, Yang WS, Tai TY, Lai MY, Chen PJ, Kao JH, Lee CZ and Lee HS. Adiponectin levels among patients with chronic hepatitis B and C infections and in response to IFN-alpha therapy. Liver Int, 25(4):752-9, 2005. 14.Tseng CH, Tsench CP, Tai TY and Chong CK. Effect of angiotensin blockade on the association between albuminuria and peripheral arterial disease in elderly Taiwanese patients with type 2 diabetes mellitus. Circ J, 69(8):965-70, 2005.